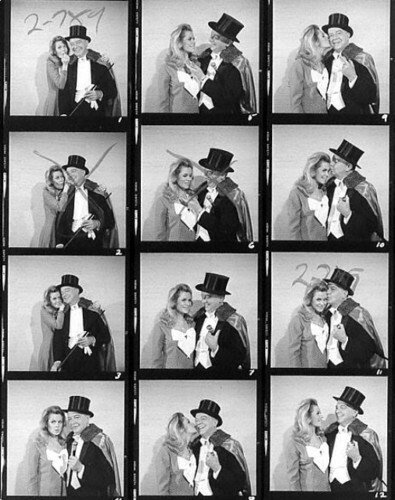 Elizabeth Montgomery & Maurice Evans Proof Sheet. Recently discovered in the ABC archives, lost proof sheet of Elizabeth Montgomery and Maurice Evans in the Bewitched epsiode, Samantha's Good News.. Wallpaper and background images in the Bewitched club tagged: bewitched elizabeth montgomery maurice evans proof sheet 1960s tv series photo. This Bewitched photo contains stained glass window, holding cell, penal institution, and penal facility. There might also be cell, jail cell, prison cell, jail, jailhouse, gaol, clink, slammer, poky, and pokey.